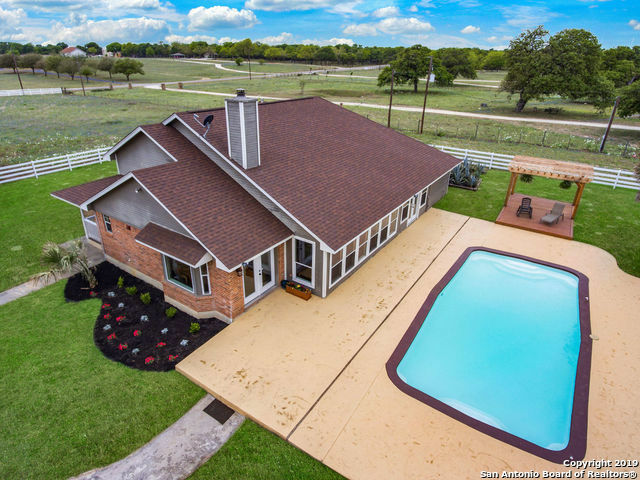 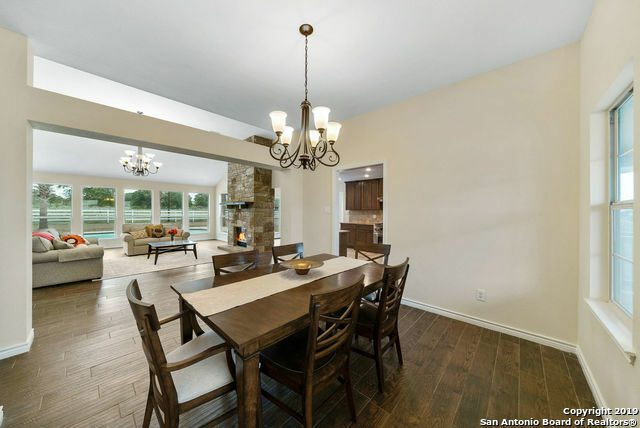 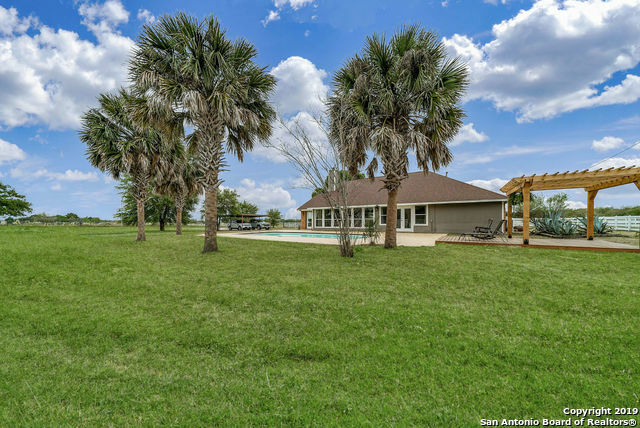 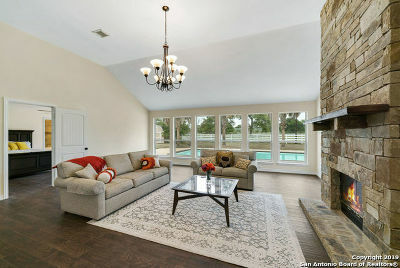 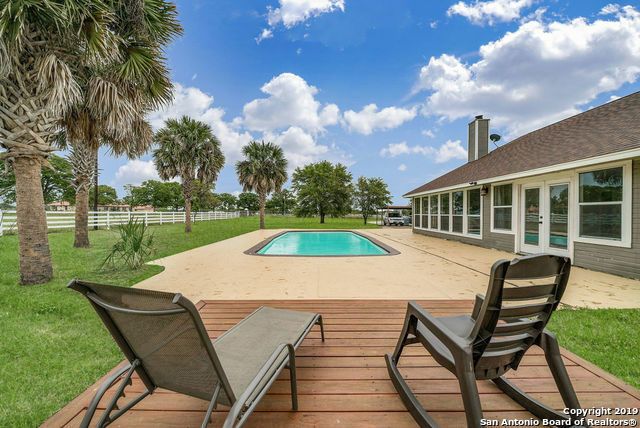 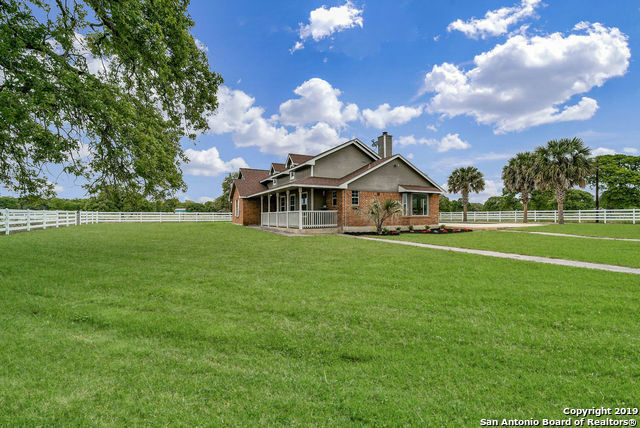 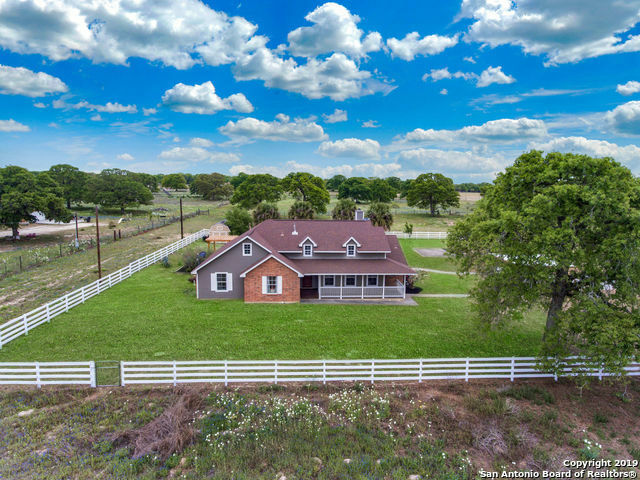 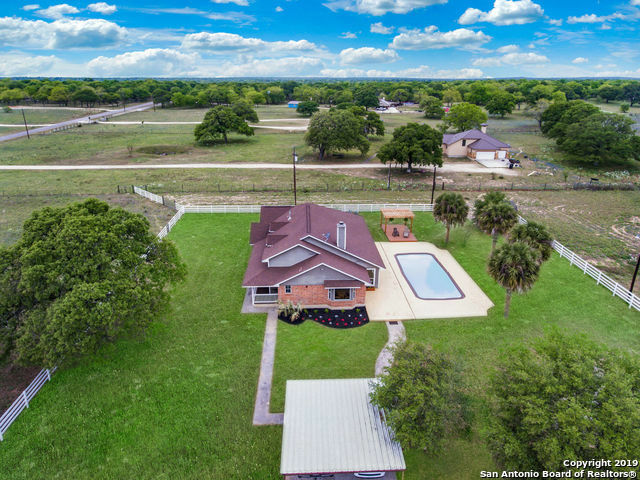 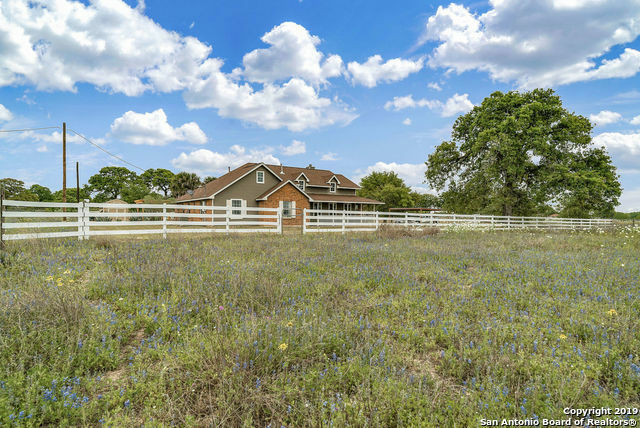 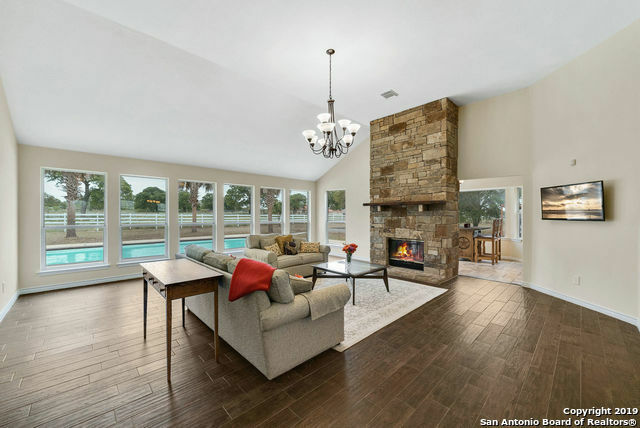 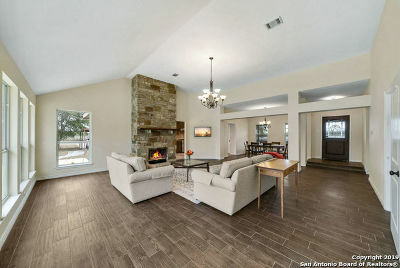 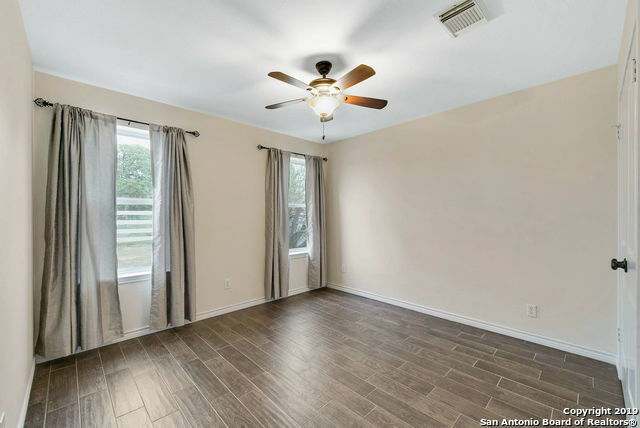 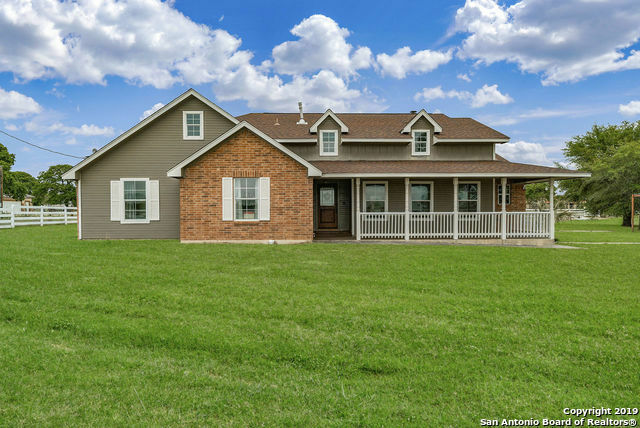 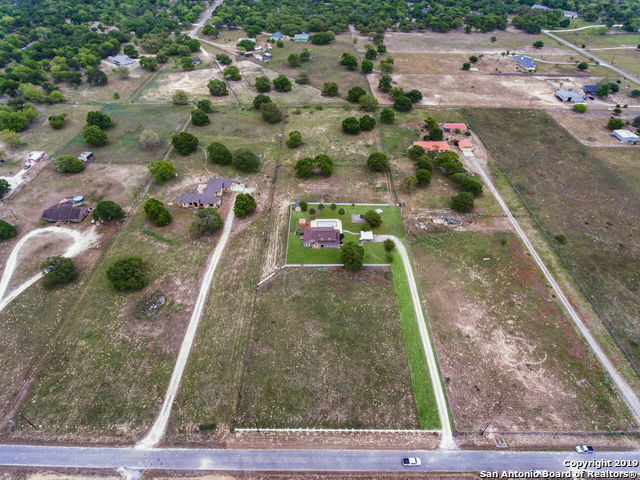 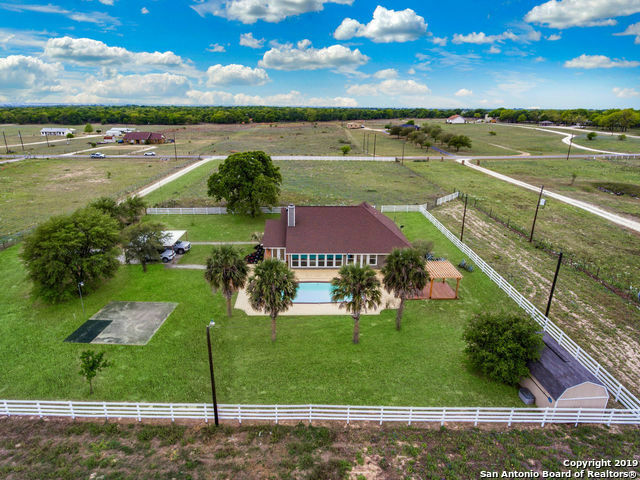 Beautiful One Story "Smart House" sitting on 5 Acre tract of bluebonnet & wildflower fields. Open Floor Plan, High Ceilings. 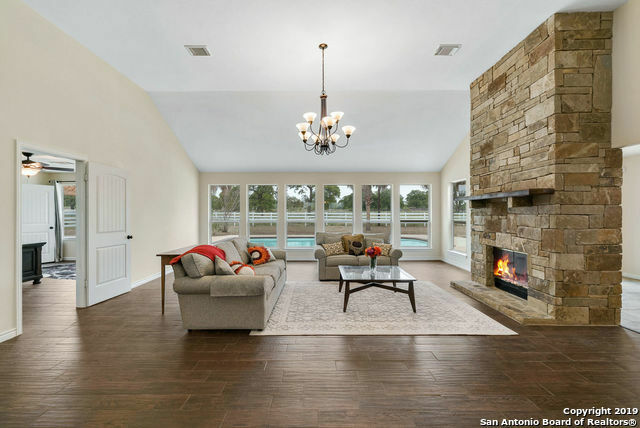 Spacious Family Room w/rock to ceiling 2 sided fireplace views out thru wall of windows to the Inground Pool, Pergola & Palm Trees. 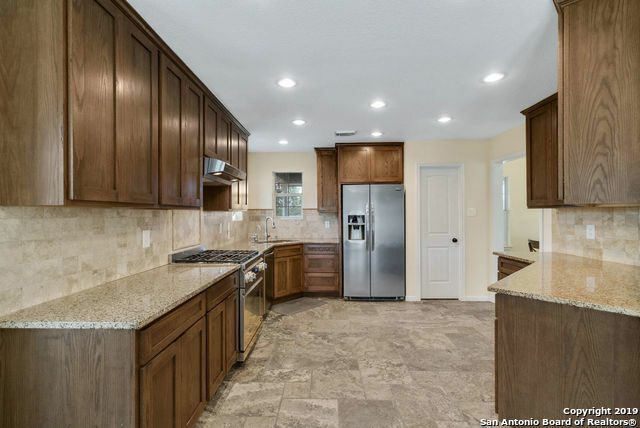 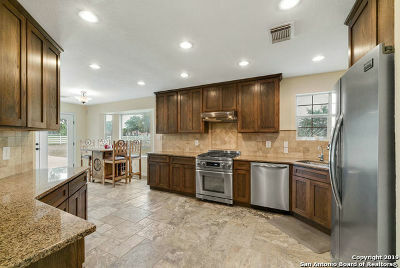 Granite Countertops in Kitchen, S Steel Appliances. 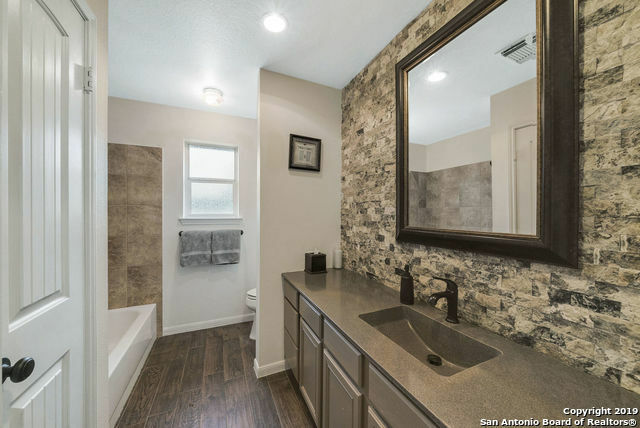 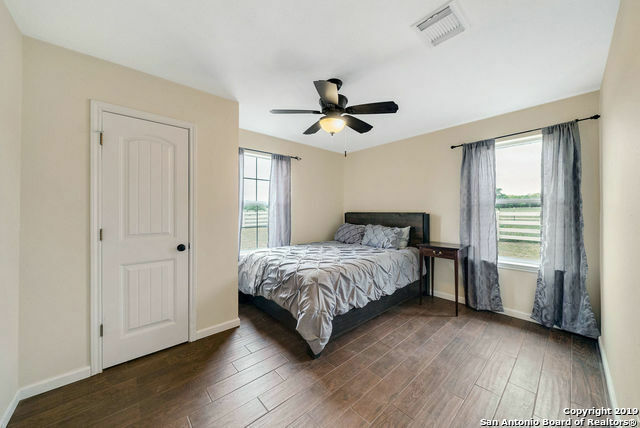 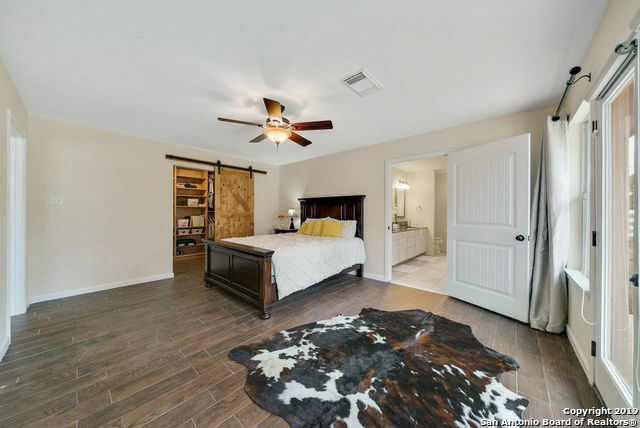 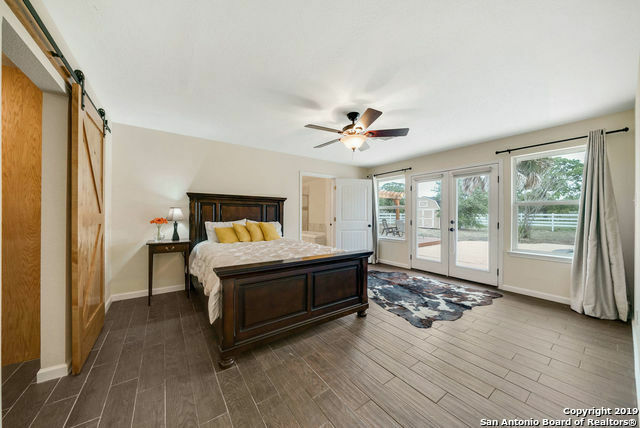 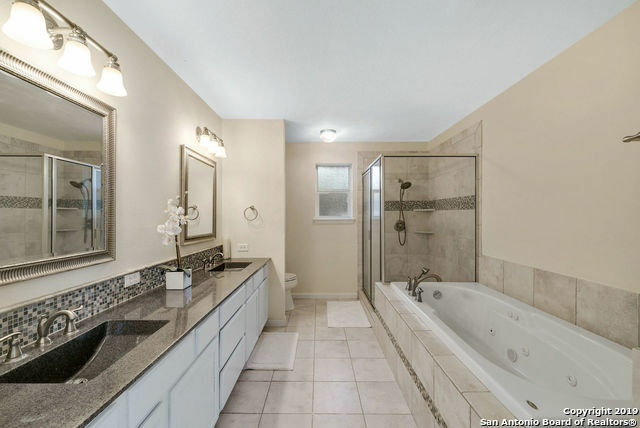 Master Suite boasts large Custom Closet, Double Vanity Bath w/Whirlpool Tub & walk in Shower. 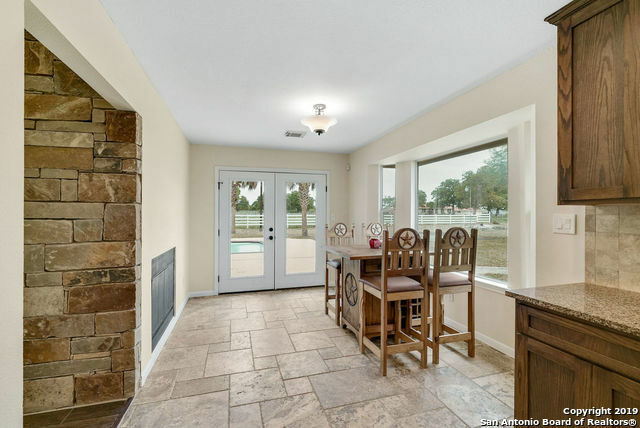 Travertine & Tile Floors-No carpet! 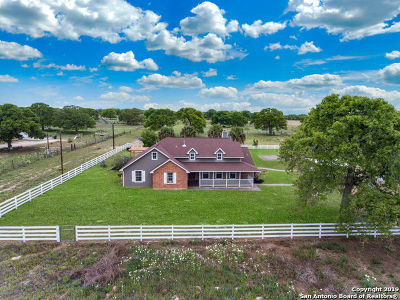 Property is fully fenced & cross fenced. 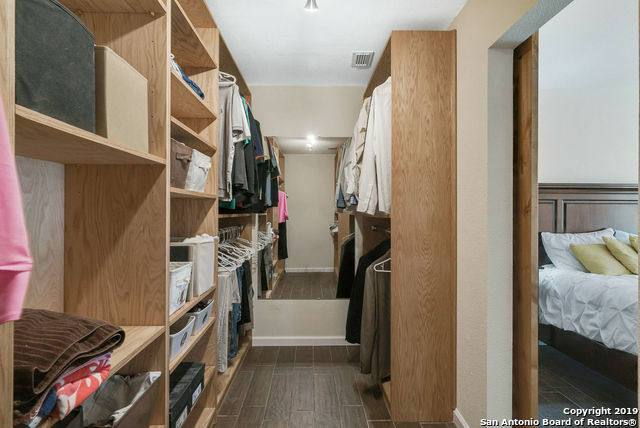 20&apos; x 11&apos; outside storage unit.